We are starting a new series of regular posts to keep you up to date about upcoming contests and jams. At the beginning of the month we'll post a list of the events. Here is what's going on in February. Fight the Winter in Germany is going to be bigger than last year with an additional practice day on friday. 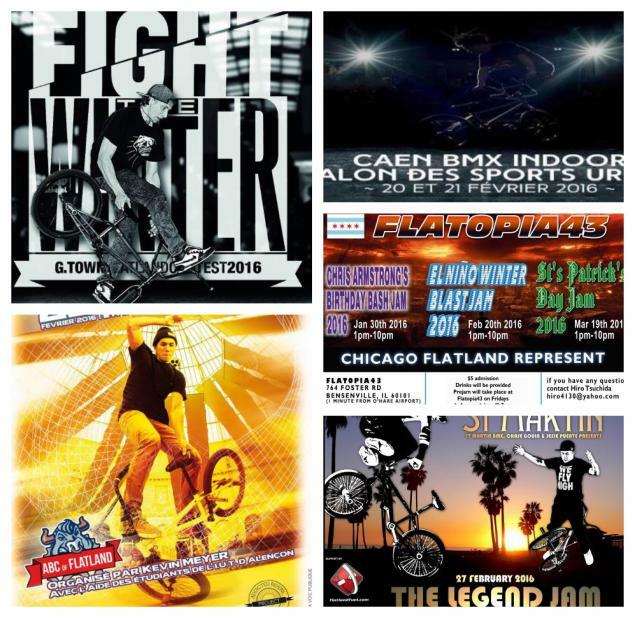 In the US it's time for the second round of the Flatopia jam series - another way to escape the winter for a bit. The ABC of Flatland contest in France had a few difficulties finding sponsors but Kevin Meyer is going to manage it with a small budget nevertheless. What's missing on our list? Please submit events here.